Sesame Street is a place full of laughter and learning that connects with pre-schoolers everywhere. Its a place where kids can learn and play and grow and share.Since revolutionizing childrens programming 50 years ago, Sesame Street has stretched to more than 150 countries around the globe creating a brighter, better place for us all. 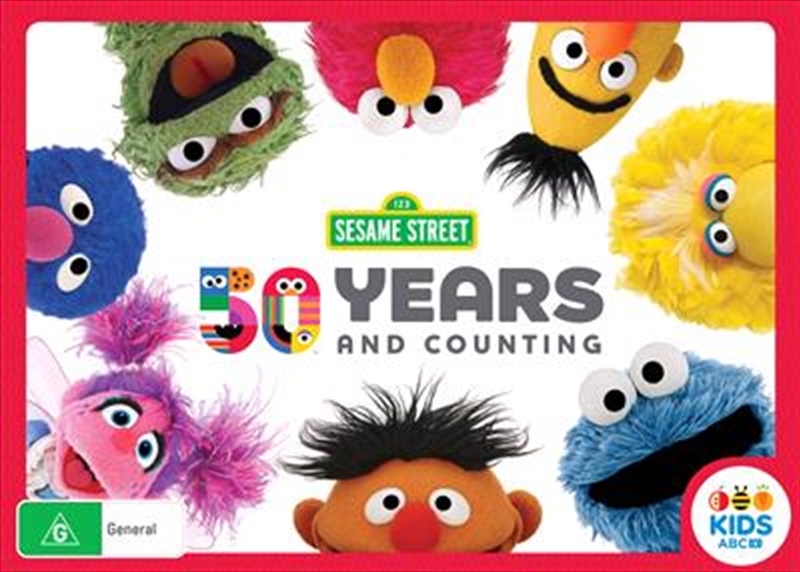 To celebrate 50 years and millions of hearts touched, join Elmo, Bert & Ernie, Cookie Monster and all of your favourite residence for 4 joy filled DVDs.